People will always go for the best furniture, which will make a house become nicer and comfortable. Furnishing a house is one thing, but giving it an aesthetic value that’s more classy and modern requires a touch of beauty. 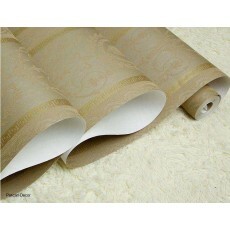 Although many people will view interior decoration items as an unnecessary expenditure, some of the interior decoration products such as golden floral wallpapers come with an added advantage. When a floral wallpaper is installed on a wall, there are more advantages as compared to a simply plastered wall. One thing that gives people the urge to keep using floral wallpapers is the ability they have to transform a room, giving it a comfy look and a sense of tranquility.